Lady (Moi). And the Tramp (The Beast). 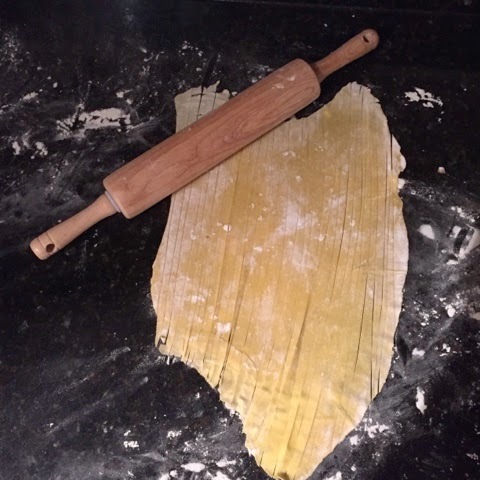 And also the Chap… were all itching for a carb fix we’d better make some tagliatelle from scratch. 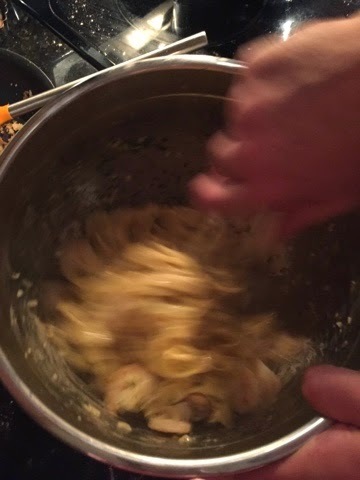 So we followed Marc Vetri’s recipe. 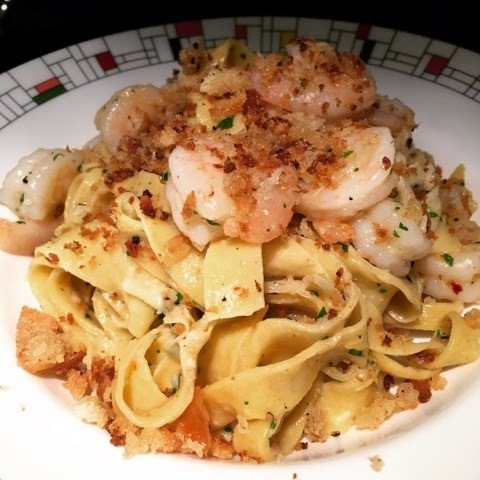 I found this true gem in the email foodie newsletter, Tasting Table. 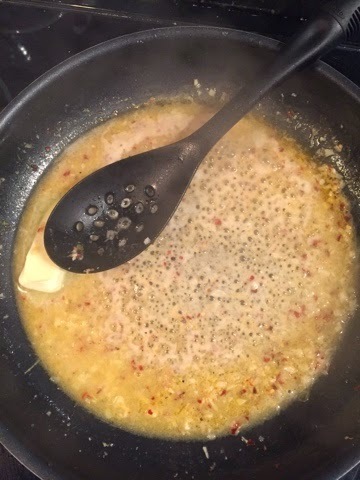 I highly recommend both the recipe and subscribing to that newsletter if you love to cook like we do. 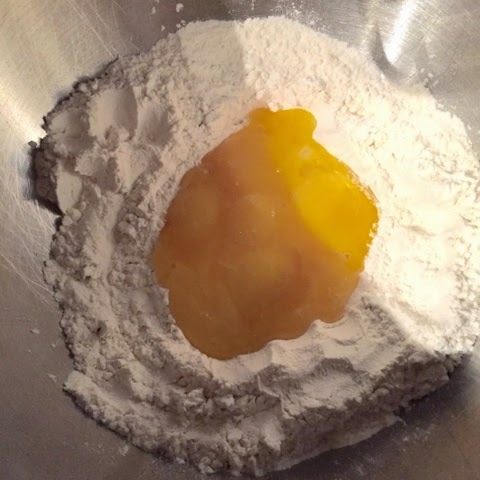 Half an hour, a bunch of eggs and flour is all you need. 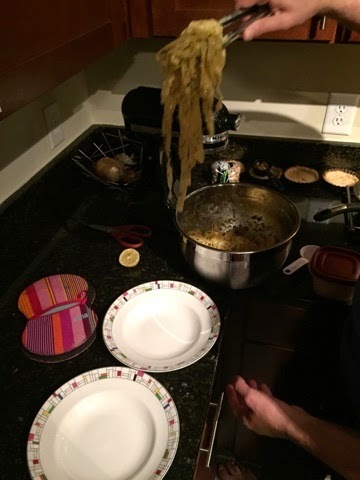 My all Italian family regales tales of pasta making – days of labor and noodles drying all over the house. Turns out they just needed this recipe! 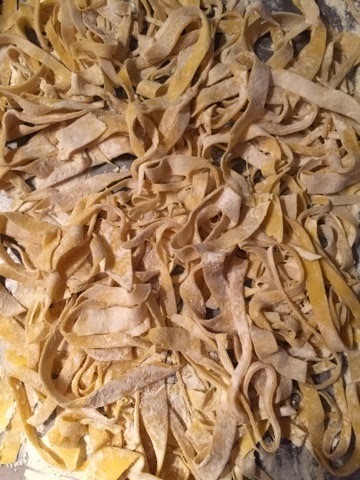 The chap and I started the task far too late on a Friday, after a healthy debate as to whether we should visit another grocery store and pick up all the genres of flour needed for the noodles. A hangry me pleaded no, while chap voted for perfection. My quickly googled substitute won out (thankfully). 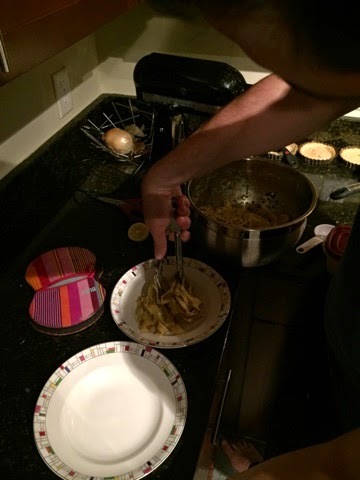 We also lacked a proper pasta cutter, but I found the variety of misshapen sizes charming. 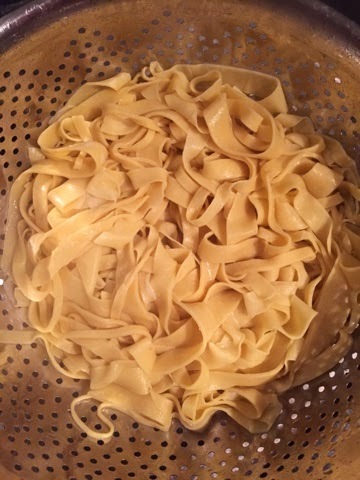 The noodles boil literally for three minutes and finish cooking in sauce. 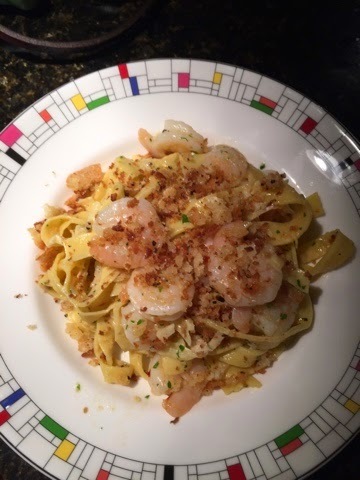 We opted for shrimp scampi as an attempt to keep the dish kind of light…or as light as egg noodles coated in butter sauce can be. 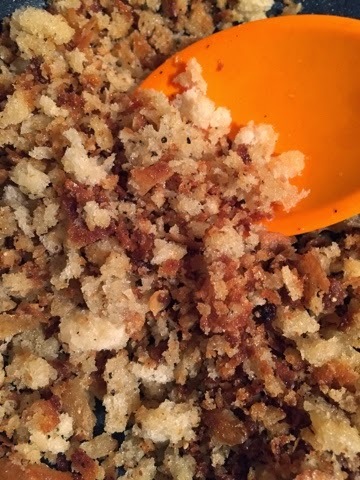 I had some homemade breadcrumbs and demand crunch in all my food, so naturally I sautéed them to top our gorgeous dishes.